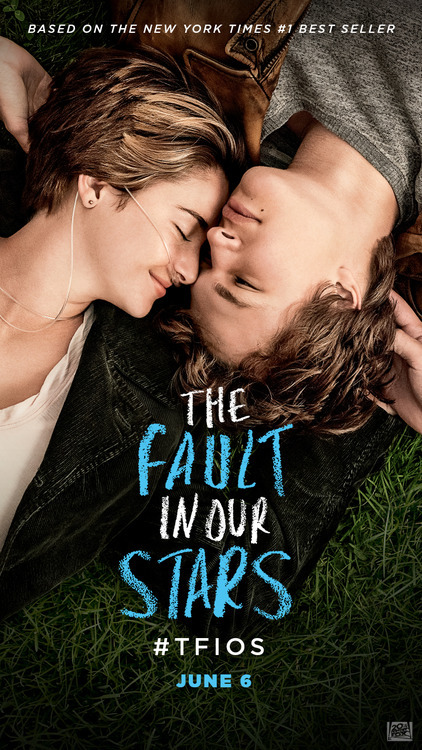 The Fault in Our Stars in a Word : Okay | What Does Mel Think? I went to see The Fault in Our Stars with my friend at the cinema probably a month ago now and I've been trying to compose my thoughts about it. First shocker: I didn't cry. Not at all. I had tears in my eyes but it wasn't to the brink of sobbing that the book brought me to. Also, neither did my friend who has also read the book and also been moved to tears by it. Lets start by talking about the book and the story itself. 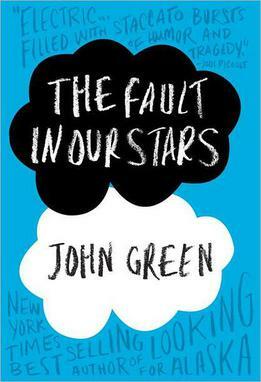 I loved the book, I loved the idea and the characters and the way John Green writes. I was so excited when I heard it was being turned into a film, I had put it up there with my favourite books. I think it is such an interesting love story, it is so much more than 'the new notebook' or other things I am ashamed that it has been associated with. It is so much more than a romance, it tells the real emotions and torment cancer brings into people's lives. This is not a very widely acknowledged topic in the world of cinema or literature in general and I think it should be featured more because it is a real problem that I think I can say everyone has experienced in some form. I am incredibly lucky that I have not suffered through close family and cancer but people in my family have had cancer and my Nanna even died from it before I met her. It is a very real issue that should be more widely addressed. The story was so well written, I think I read it in about two days and for me that is not normal, it's the sign of a really good book. It makes you smile, laugh and cry still managing to surprise you at the end. However, I didn't find this so much with the film. The film was very good to see in some ways because it's amazing seeing a good book come to life on a screen and seeing how it compares with what you had imagined. I loved Augustus' lines that I remembered from the book, and their relationship was exactly how I wanted it to be. Although, my friend showed me a review someone had given of the film and they said it seemed 'too Shakespearean' in their language and that is something I can totally understand. (I have tried so hard to find this to credit them but I can't :( ) I think the language they used towards each other was way too poetic and philosophical than two teenagers would use and for this reason they became quite difficult to relate to compared to the version in the book. The ending was also what I had a problem with, it wasn't as powerful as in the book. I felt that we could have seen more of Augustus' funeral, also I didn't like that Peter Van Houten gave Hazel the letter from Augustus because it just made a bad day worse for her. Gus would have known that this could only end in disaster. So in conclusion, I think the film was good if you haven't read the book already. The story is heart-warming but heartbreaking at the same time, and the idea behind it is unique. Although for someone who grew so attached to the book (and most probably my version of the story created in my imagination) it is not what you may hope or expect. If you really loved the film and haven't already, I would strongly encourage you to give the book a go, it is perfect for all ages and tells a story you will never forget. I haven't seen the film yet but I'm sooo keen to. I loved the book! I LOVE their witty banter. I kind of get what you mean about maybe their language being too sophisticated for two teens. BUT, I think it actually is realistic because these are two kids who've spent a lot of their lives sick...and therefore have read a lot. People who read have a bigger vocabulary. I know my little sister was saying HUGE words when she was only 12, because she read so much. *shrugs* It's a thought anyway. ;) I'm excited to see it when it comes out on DVD!